A career soldier, Grant graduated from the United States Military Academy at West Pointand served in the Mexican–American War. When the Civil War began in 1861, he rejoined the Union army. 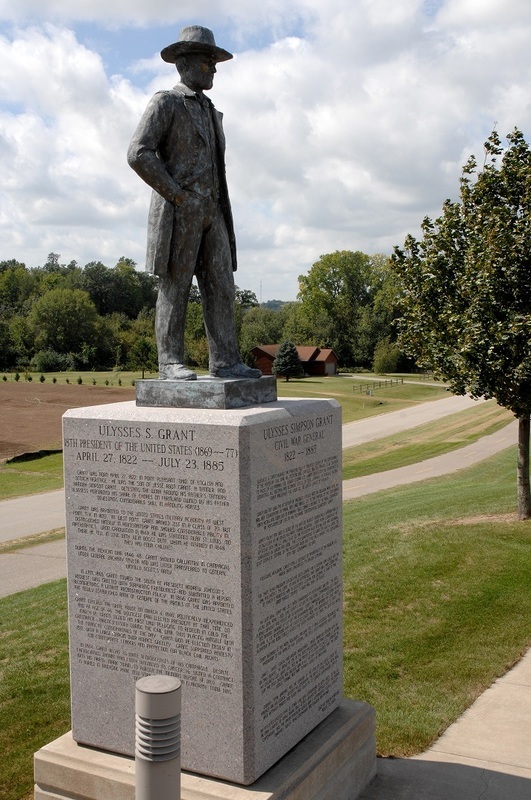 In 1862, Grant was promoted to major general and took control of Kentuckyand most of Tennessee. He then led Union forces to victory after initial setbacks in theBattle of Shiloh, earning a reputation as an aggressive commander. In July 1863, Grant defeated Confederate armies and seized Vicksburg, giving the Union control of theMississippi River and dividing the Confederacy in two. After the Battle of Chattanooga in late 1863, President Abraham Lincoln promoted Grant to lieutenant general and commander of all of the Union armies. As commander, Grant confronted Robert E. Lee in a series of bloody battles in 1864, which ended with Grant trapping Lee at Petersburg, Virginia. During the siege, Grant coordinated a series of devastating campaigns launched by generals William Tecumseh Sherman, Philip Sheridan, and George Henry Thomas in other theaters. Finally breaking through Lee's trenches, the Union Army captured Richmond in April 1865. Lee surrendered his depleted forces to Grant at Appomattox as the Confederacy collapsed. Most historians have hailed Grant's military genius, despite losses of men. 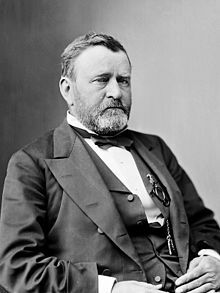 After the Civil War, Grant served two terms as president and worked to stabilize the nation during the turbulent Reconstructionperiod that followed. He enforced civil rights laws and fought Ku Klux Klan violence. 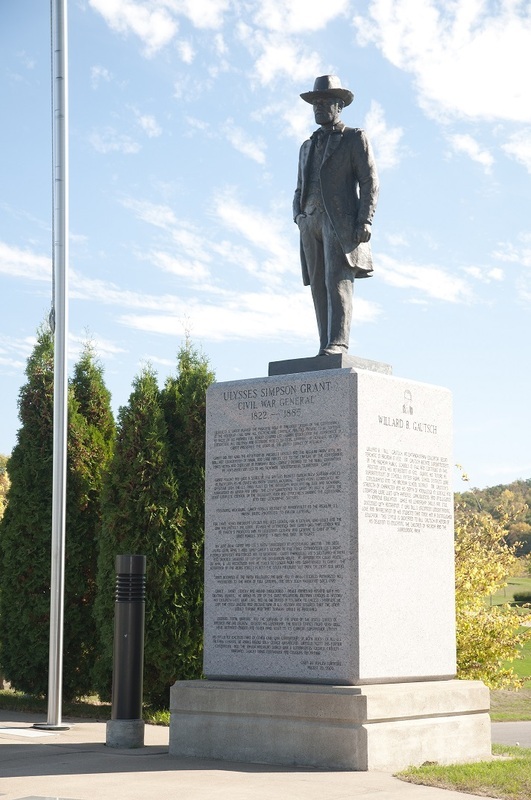 Grant encouraged passage of the Fifteenth Amendment, giving protection for African-American voting rights. He used the army to build the Republican Party in the South, based on black voters, Northern newcomers ("Carpetbaggers"), and native Southern white supporters ("Scalawags"). As a result, African-Americans were represented in the Congress for the first time in American history in 1870. Although there were some gains in political and civil rights by African Americans in the early 1870s, by the time Grant left office in 1877, Democrats in the South had regained control of state governments, while most blacks lost their political power for nearly a century. Although Grant's Indian peace policy reduced Indian violence and created the Board of Indian Commissioners, conflict continued that culminated in theBattle of the Little Big Horn. In the long run, even his supporters agreed that his policies were unsuccessful. Grant's reputation fell as the economy plunged into the United States' first industrial depression, called the Panic of 1873. In his second term, Grant had to respond to a series of Congressional investigations into financial corruption in the government, including bribery charges against two cabinet members. Grant's foreign policy, led by Secretary of State Hamilton Fish, settled the Alabama Claims with Britain and avoided war with Spainover the Virginius Affair, but his attempted annexation of the Dominican Republic failed. Grant's response to the Panic of 1873 gave some financial relief to New York banking houses, but was ineffective in stopping the five-year industrial depression that followed. After leaving office, Grant embarked on a two-year world tour that included many enthusiastic receptions. In 1880, he made an unsuccessful bid for a third presidential term. However, his memoirs, written as he was dying, were a critical and popular success, and his death prompted an outpouring of national mourning. Historians have, until recently, ranked Grant as nearly the worst president; Grant's reputation was marred by his defense of corrupt appointees and by his conservative deflationary policy during the Panic of 1873. While still below average, his reputation among scholars has significantly improved in recent years because of greater appreciation for his commitment to civil rights, moral courage in his prosecution of the Ku Klux Klan, and enforcement of voting rights.